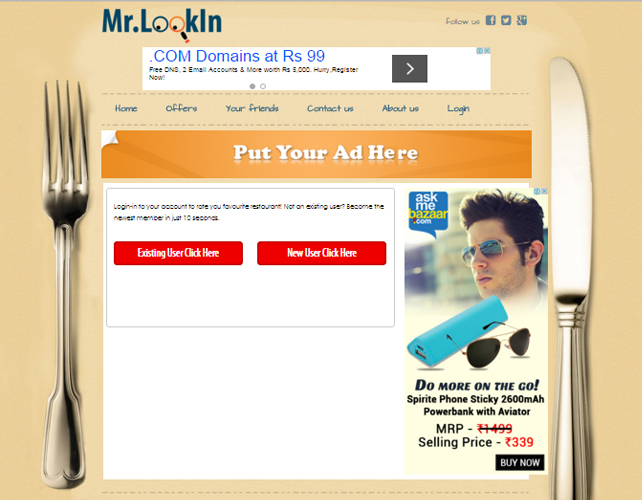 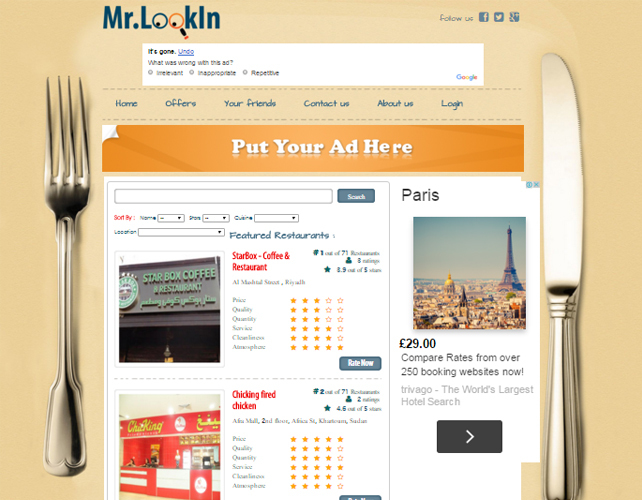 Mr. Lookin is a website which has the highest number of restaurant reviews and comparisons. 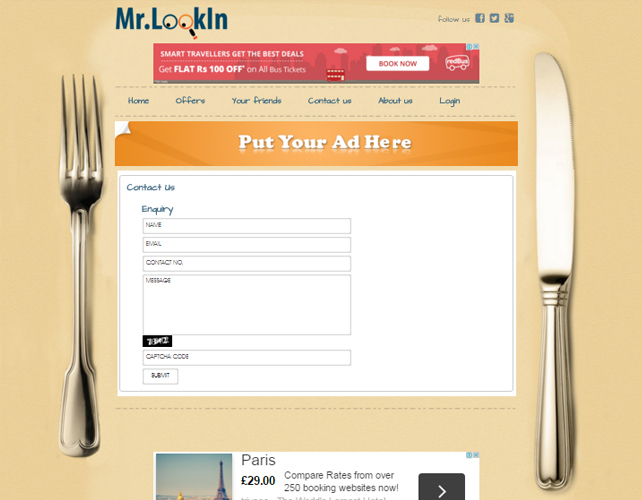 For all the food lovers who want a genuine review about a particular restaurant before they enter that place, Mr. Lookin comes into action. 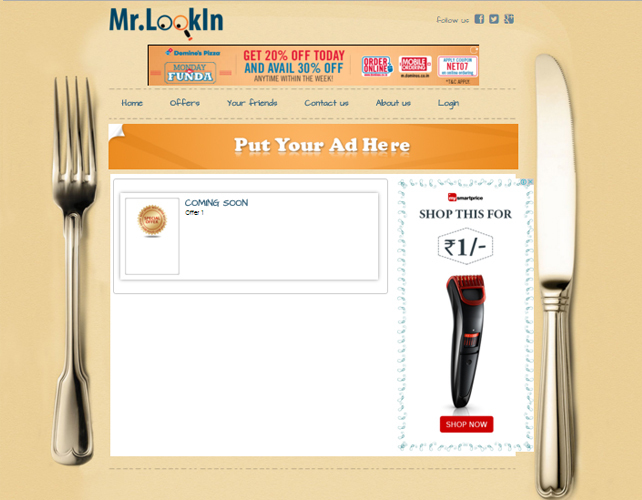 The team at Mr. Lookin tabulate all the customer ratings on a 5-point scale and allocate the ratings accordingly to the restaurants. 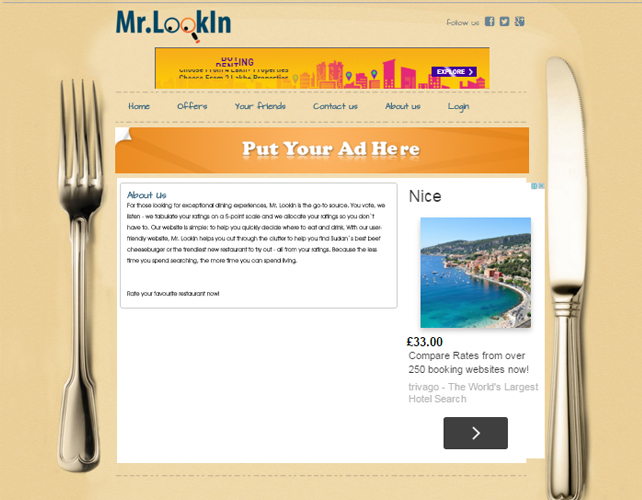 As this is entirely based on customer’s ratings and feedback, you get the most genuine reasons to try out a restaurants to satisfy your hunger.